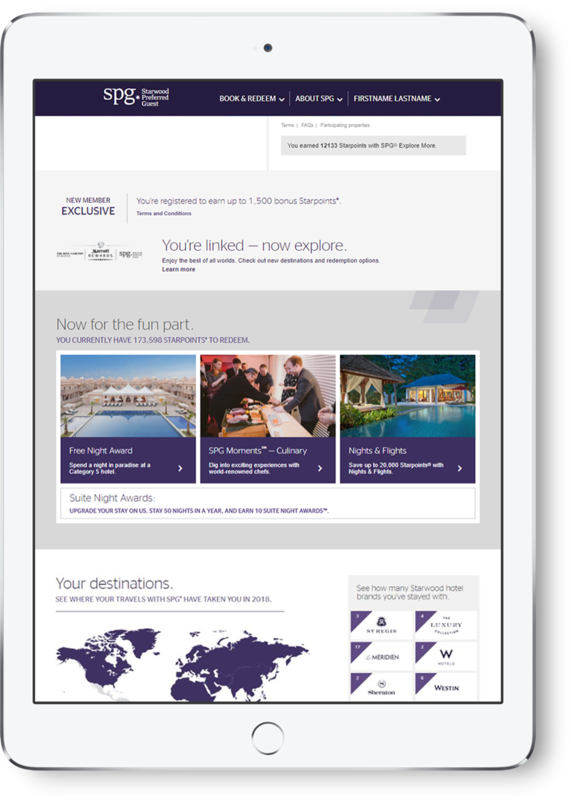 For more than 19 years, TLG has helped build one of the world’s most popular loyalty programs, Starwood Preferred Guest®. 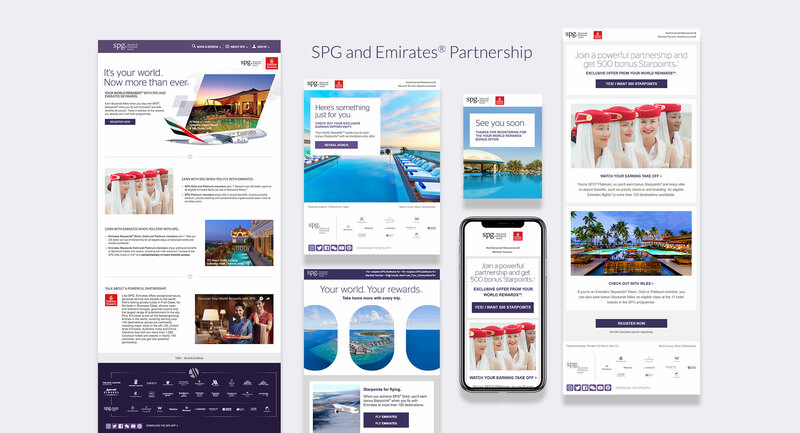 Working together with SPG®, we’ve pioneered industry innovations such as “No Blackout” rules, “Moments” auction sites and other one-of-a-kind experiences. 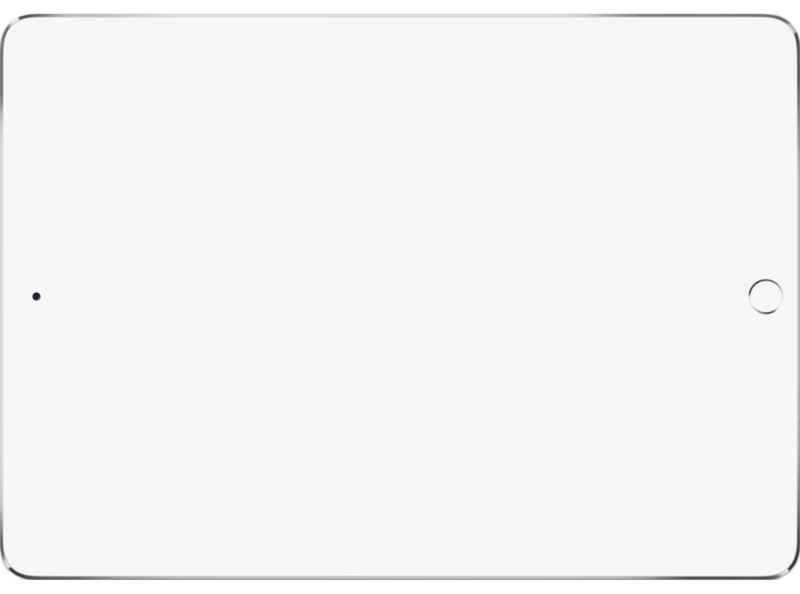 We create triggered communications that further engage members at key points in the lifecycle. 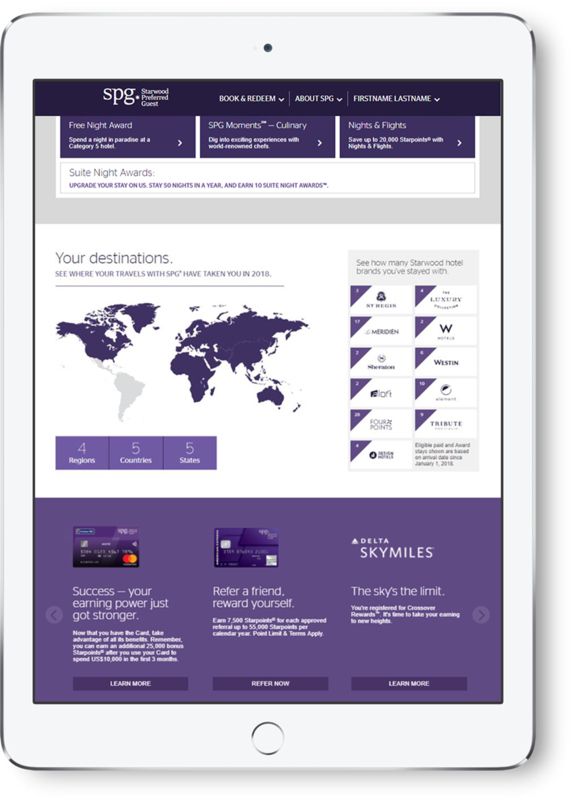 We manage multiple promotions across channels and build and deploy highly dynamic, data-driven monthly eStatements. 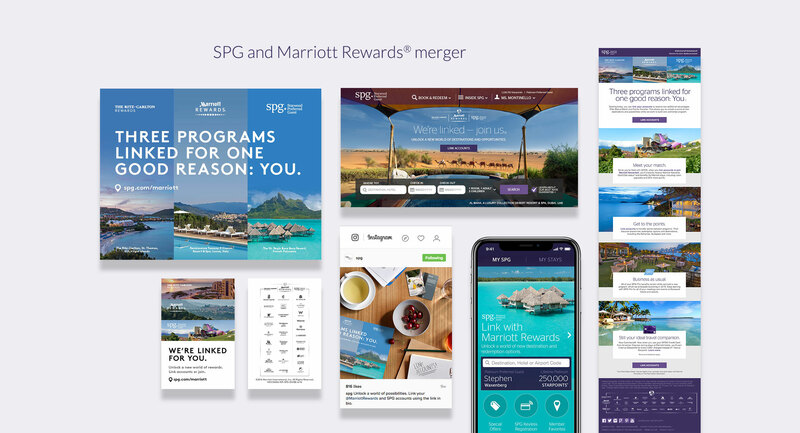 Now as SPG® and Marriott Rewards merge, we’re creating communications for the millions of members across both programs. Members can check out their program activity and monitor their numbers, both year-to-date and over the lifetime of their membership. They can also monitor their progress toward elite status and preview the benefits that await at the next level. 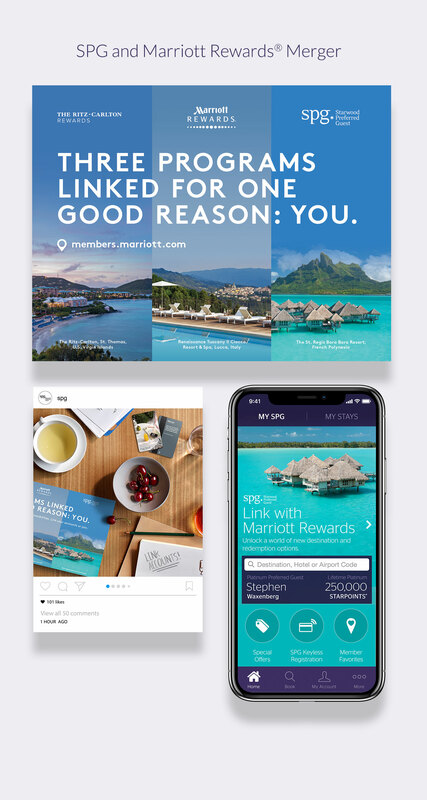 Members are served relevant, targeted offers based on their Starpoints® balances and past redemption history. 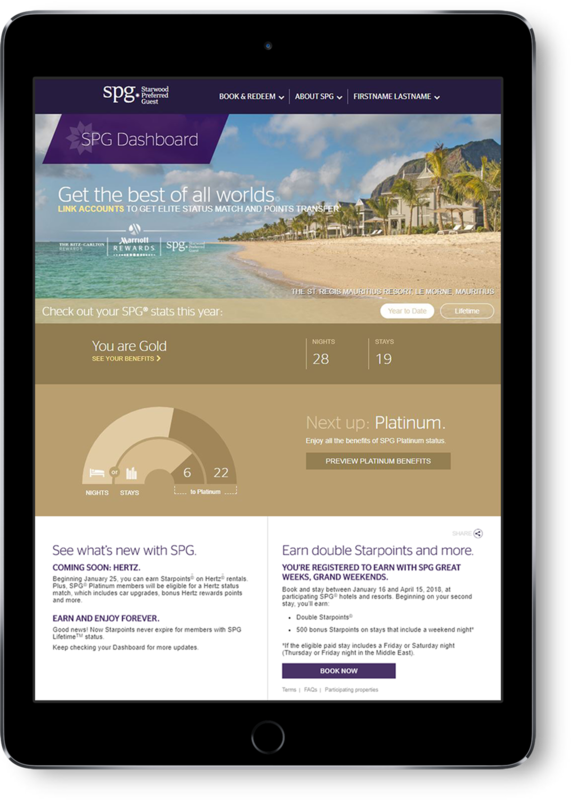 A map allows members to see all the locations and SPG hotel brands they’ve visited, creating a global footprint that’s unique to each of them. 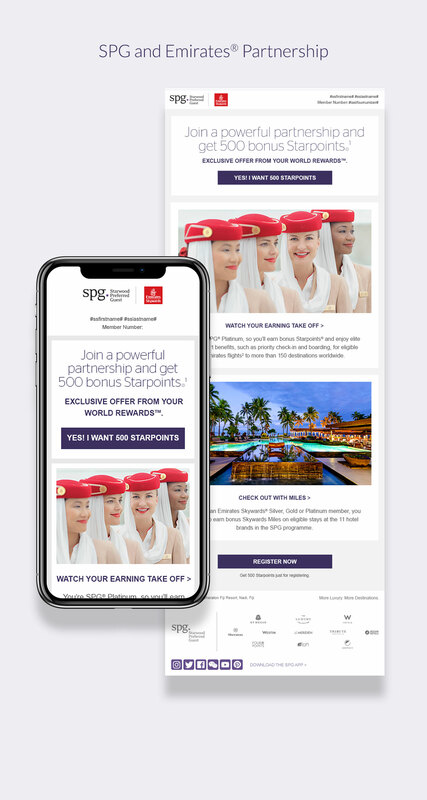 SPG MomentsSM provide members with the chance to redeem Starpoints for access to the biggest entertainment, sports, culinary and lifestyle events around the world. 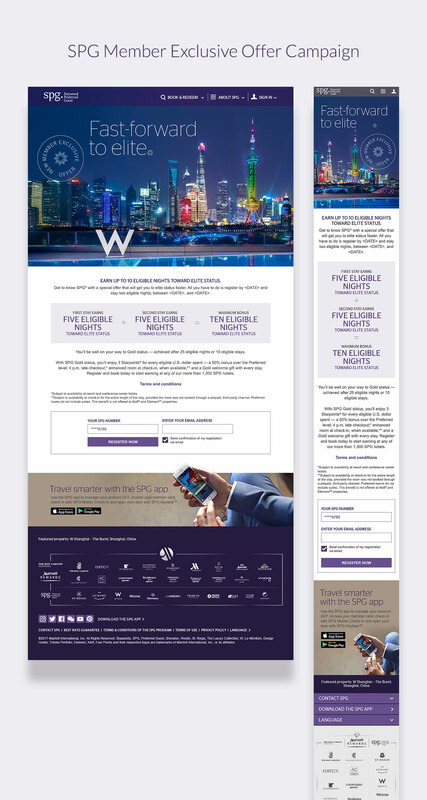 In addition to the dedicated SPG Moments site, we create and deploy biweekly emails to announce the newest Moments up for bid. Interested in learning more? Let's Converse.